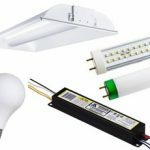 Paradise Lighting is a leading designer & manufacturer of indoor and outdoor solar lighting solutions since last 17+ years. It delivers innovative and top of the line outdoor light fixtures that enhance your home’s landscape and architectural look. Paradise Streetlight style outdoor light is a great product, suitable for your outdoor lawn. You can illuminate pathway, walkway or patio. This model of Paradise light’s design will remind you of an old-fashioned street lamp post, but comes with newer technologies to the old design. The Paradise GL23716BK comes with latest solar power and LED technology to provide hours of energy-efficient lighting to your garden. 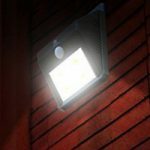 There are total 12 bright white LEDs that deliver a great lighting result with consistent 14-lumen glow to illuminate the paths, walkways, patios, driveways and stairwells. 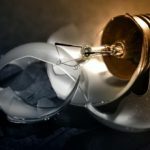 However be aware it is not as bright as a gas lamp or an electric lamp. However it does stay lit through the night and saves you money compared to the gas or electric street lamp. 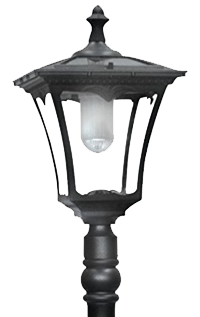 The light is made up of strong cast-aluminum construction with a black rust-resistant finish and clear plastic lenses are built to withstand year-round, and since there is no bulb change required, the GL23702BK truly provides a maintenance-free outdoor lighting solution to your home with style and reliability. 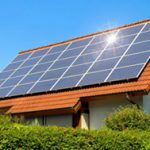 There are 4 solar panels are fixed on top of the lamp post to absorb maximum energy from the Sun rays which provides energy to power the lamp. It comes with an automatic ON/OFF switch, that is, the lights turns ON automatically at dusk and will switch itself Off when its day time. 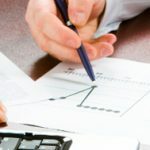 There are three rechargeable batteries included in the unit to further optimize charging throughout the day for dependable energy-efficient lighting at night. There is no wiring involved, thus making the installation very simple and easy, also as there isn’t any wires needed for this it, you can move the lamp-post anywhere you like. While installing the lamp-post, make sure the base bolted to a surface otherwise the lamp will not stand up on its own and would not allow balancing. The installation is breeze, all you need is bring it out and fit in the ground straight out of the box for use within minutes. 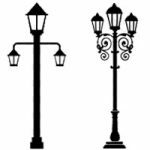 The best place to install the lamp post is at your front walkway to greet your guest or set it next to your patio, porch, or driveway to serve as a welcoming beacon at your home. 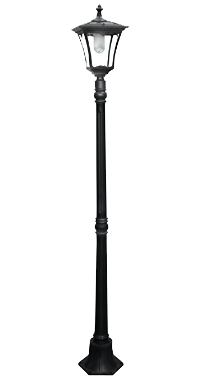 All in all the Paradise GL23702 solar powered lamp post is a great for your garden lighting, it combines the best of modern technology, energy efficiency, and timeless design to transform your outdoor lawn lighting to next level.